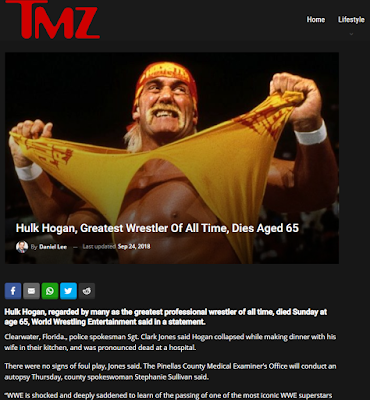 My suspicion is that TMZ-us.com is related to us-NBCNews.com. 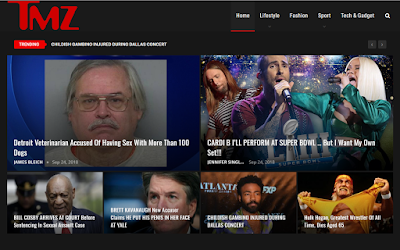 That latter site was recently documented by LeadStories. The site us-NBCNews.com was also registered on September 20, 2018, and it's also registered to "WhoisGuard Protected." I took the information from here: https://www.reddit.com/wiki/suspiciousaccounts. I tried to keep my mistakes to a minimum, but there may still be some minor errors. The site TechExplorist.com appears to have plagiarized the Washington Post. A TechExplorist article from September 13, 2018, is titled: "Scientists discovered 3 new sea creatures in the ultra deep Pacific Ocean"
A Washington Post article from September 11, 2018, is titled: "Scientists discover three new sea creatures in depths of the Pacific Ocean"
In the video, the newly discovered snailfish appeared to be long and gelatinous, with translucent skin and an ethereal movement, as they fed on bait lowered with the trap. The fish also seemed far larger than other organisms captured on camera near the bait. TechExplorist didn't do a straight word-for-word copy of the Washington Post's article, but they took a significant amount. The domain TechExplorist.com was created on March 29, 2017. It is currently registered under a proxy service. Back in April, 2017, it was registered to "Pranjal Mehar" at the e-mail address "pmehar101@gmail.com" In January, 2018, it was registered to "Amit Malewar" and the organization SNAXZER, at the e-mail address "ami.malewar@gmail.com." According to Trendolizer, TechExplorist uses the Google AdSense ID "ca-pub-2193378085051599." At least one other domain, InceptiveMind.com, uses the same AdSense ID. Come on, Brinkwire.com, who are you trying to fool? Your article from September 13, 2018, is titled: "Don’t buy the iPhone XS or XR until you’ve checked out these 3 deals"
A BGR article from September 13, 2018, is titled: "Don’t buy the iPhone XS or XR until you’ve checked out these 3 deals"
The new iPhones are almost here, and come Friday, you’ll be able to preorder two of them, including the iPhone XS and iPhone XS Max. The iPhone XR, the handset most people will want to buy this year, will be about a month late to the party. But, before you decide anywhere from $749 to $1,449 for one of the three new iPhones, you should be aware of the following three deals. As of early morning, September 12th. I wonder how these numbers will change over time. The title of the clip is "Billionaire Holocaust," and if you follow the Britannica link, you're taken to the entry about the Holocaust. I remember hearing that YouTube planned to insert Wikipedia links beneath videos dealing with controversial topics. In my opinion, it's much wiser to go with a non-mutable source like the Encyclopedia Britannica.